Can I Play At Online Casinos in the United States? - Casino Answers! Casino Answers » Casino Beginner Questions » Can I Play At Online Casinos in the United States? Can I Play At Online Casinos in the United States? Thanks to George W Bush’s administration enforcing the UIGEA, this is perhaps the biggest question facing online casino players in the United States. It’s understandable to be worried, considering the massive clampdown on casino proprietors in the wake of the law being enforced and certain casinos refusing to accept US-based players. However, the law doesn’t ban any Americans from playing in online casinos. Whether this was an oversight or planned this way all along doesn’t matter, what it means is that you are not breaking the law by playing in an online casino. It simply regulates how accounts are funded. It also stops casinos based in certain territories from accepting US players, but it still doesn’t stop a US citizen from playing. There are still many ways for US players to fund their accounts and they are all detailed by the casinos that accept US-based players. So, don’t worry about getting banged up for playing some blackjack, as it really, honestly, 100% won’t happen. The law isn’t going after you and they don’t want to come after you. It simply wants to prohibit you from depositing your money in an easy way. Hardly fair, is it? Now, all that is different are the ways to fund your account. Like we mentioned, there are changes in the way US-based players can fund their accounts compared to how it was done in the past. For example, Bovada Casino will still allow you to deposit using Visa or MasterCard. However, the e-wallets you can use have changed as you can only use Virtual Pin or eWallet Xpress. NETeller and other e-wallets available to players in other countries are sadly no longer available to US players because the companies themselves are afraid of upsetting the US law. It is extremely important to find out what deposit methods your chosen casino accepts from US-based players before you sign up, as now you have a shortlist of casinos that will let you play, you want to find the best one for you. So, stop worrying about being rejected or denied by online casinos because of where you live, because there is simply no law against you playing at these online casinos. Check out some of the casinos that still allow US players and hit the tables like the rest of the world is doing. UIEGA stands for Unlawful Internet Gambling Enforcement Act. It was enacted in 2006 that put a serious damper on US player’s ability to fund their online gaming accounts. For more information on the UIEGA you can read our What is the UIEGA? article. Do casinos accept US players? Can Americans play in online casinos? 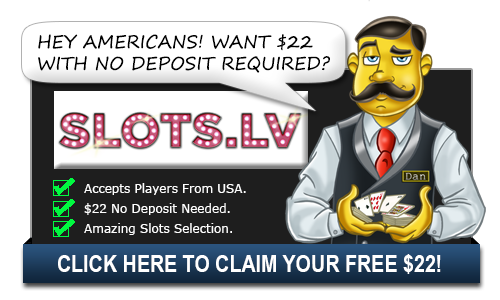 What online casinos accept US players? I’m an America, what casinos can I play online? Are there any casinos that let Americans play?